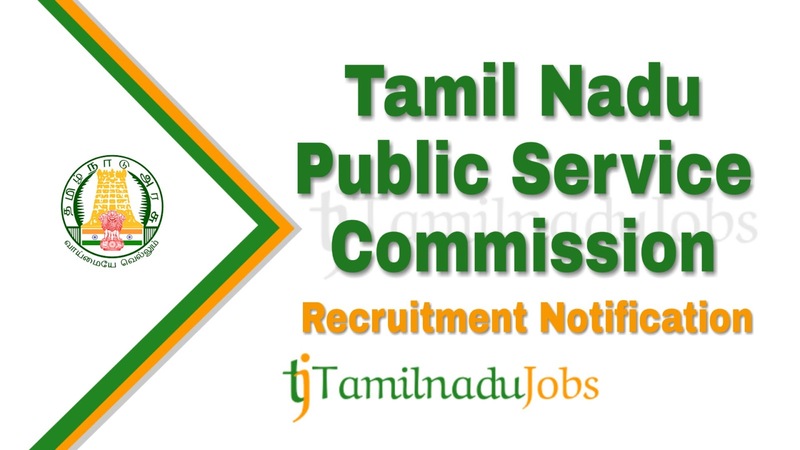 TNPSC Recruitment 2019: Good news for the Aspirants looking for Tamilnadu Government jobs, now Tamil Nadu Public Service Commission (TNPSC) published an official notification for 02 post to fill the Chemist, work in anywhere in Tamilnadu. Candidates must go through the official TNPSC recruitment notification thoroughly before apply for Chemist post. TNPSC Chemist job application is collected through Online mode only. Aspirants meet the education qualification of Tamil Nadu Public Service Commission (TNPSC) only apply for the Chemist job. TNPSC notification 2019, education qualification are given below. Junior Chemist Must possess a First or Second Class Post Graduate Degree in any Branch of Chemistry of any university or institution recognized by the UGC. Or An Associateship Diploma of the Institution of Chemists (India). Note: Other things being equal, preference shall be given to a candidate who possesses a Post Graduate Degree in Analytical Chemistry or to a candidate who possesses practical experience for a period of not less than one year in any recognized research or Analytical or Metallurgical Laboratory. Explanation: i.“Recognised Research Laboratory” means laboratory recognised by the Ministry of Science and Technology of the Government of India. ii.“Recognised analytical or Metallurgical Laboratory” means a Laboratory, which is engaged in Testing and Analytical and issues Test Certificate. Aspirants who want to apply for TNPSC Chemist 2019, must attain the following age limits given by Tamil Nadu Public Service Commission (TNPSC). The application fees for Tamil Nadu Public Service Commission (TNPSC) Chemist 2019 differ according to various categories. The application fees details for TNPSC Chemist given below. Tamil Nadu Public Service Commission (TNPSC) is announced the recruitment for the Chemist to full fill their 02 posts. Aspirants have to pass the following selection process given by Tamil Nadu Public Service Commission (TNPSC) to get Chemist job. For more detail and correct information check in the official notification of TNPSC. How to Apply TNPSC Chemist 2019? Step 5: Before submitting the application for Chemist, check the details are correct, then press submit and pay the application fee.